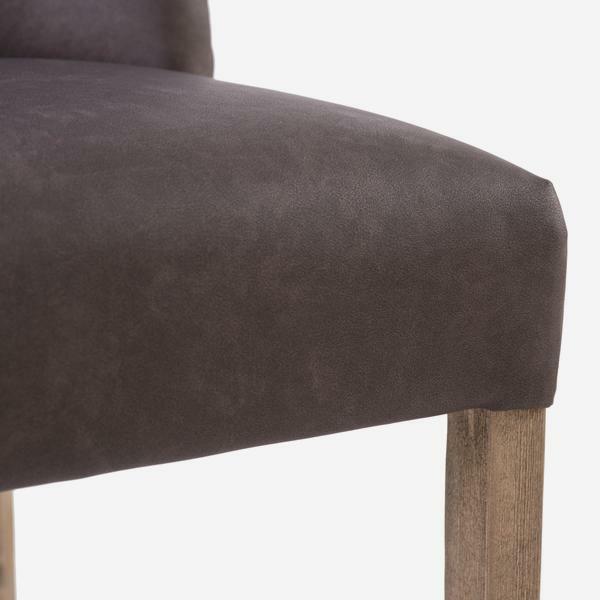 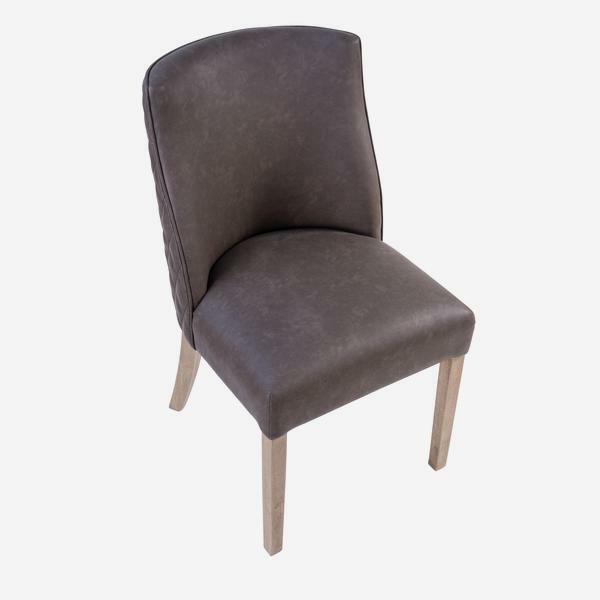 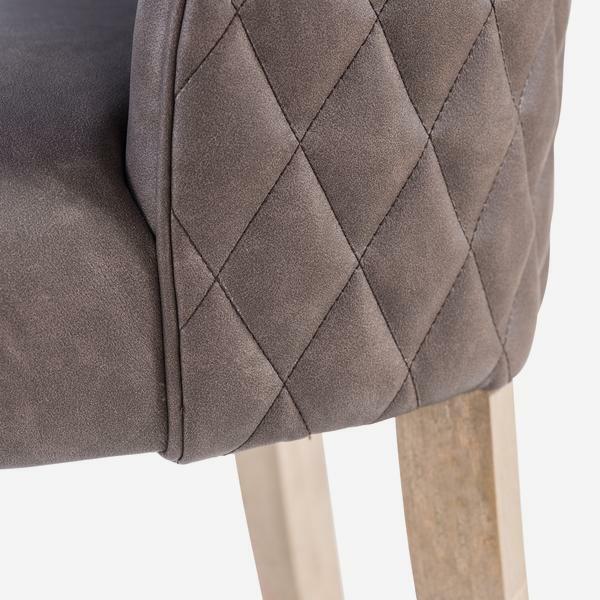 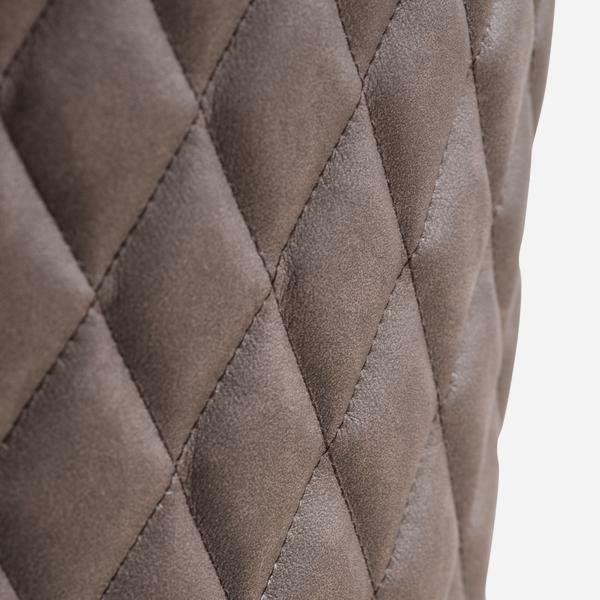 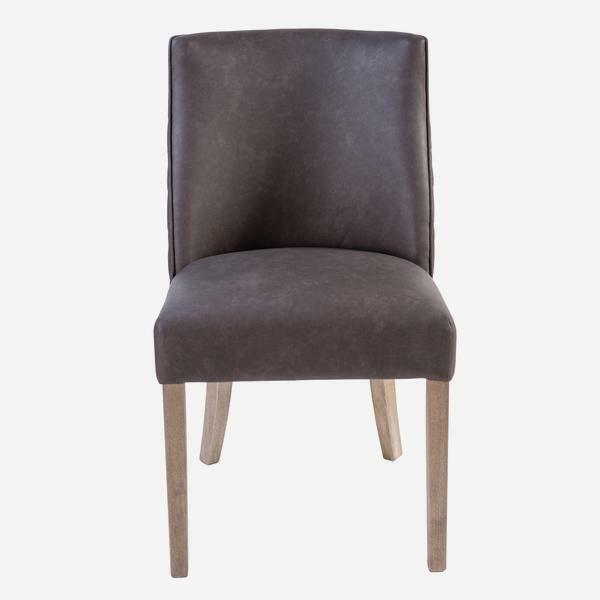 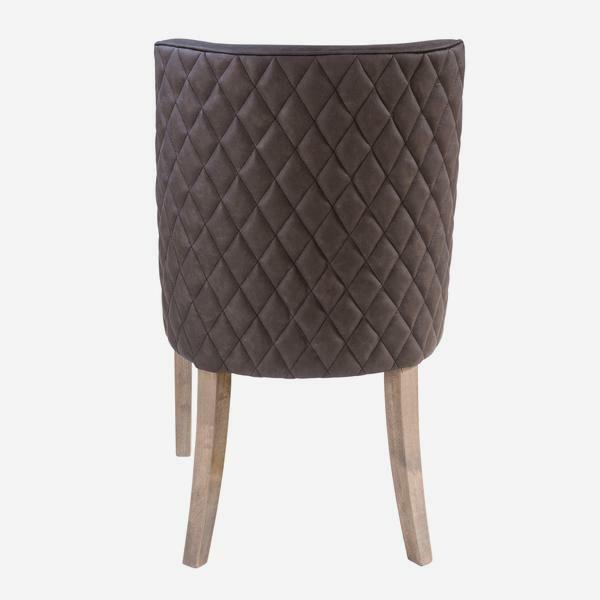 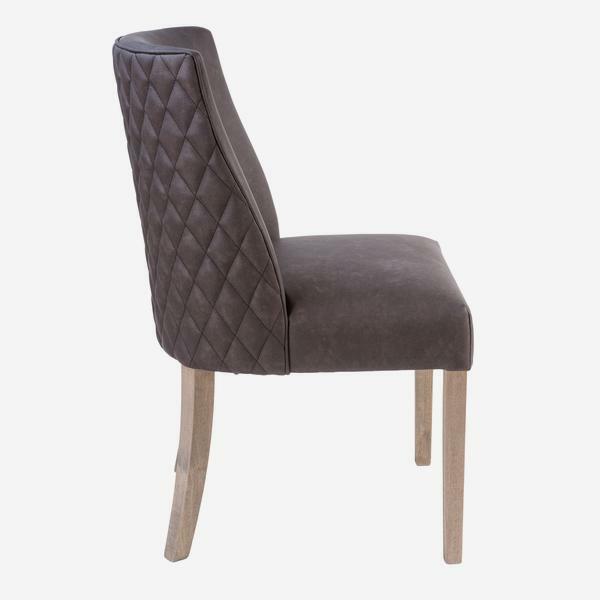 A chocolate faux leather dining chair with a diamond quilted back, piping edges and light wooden legs. 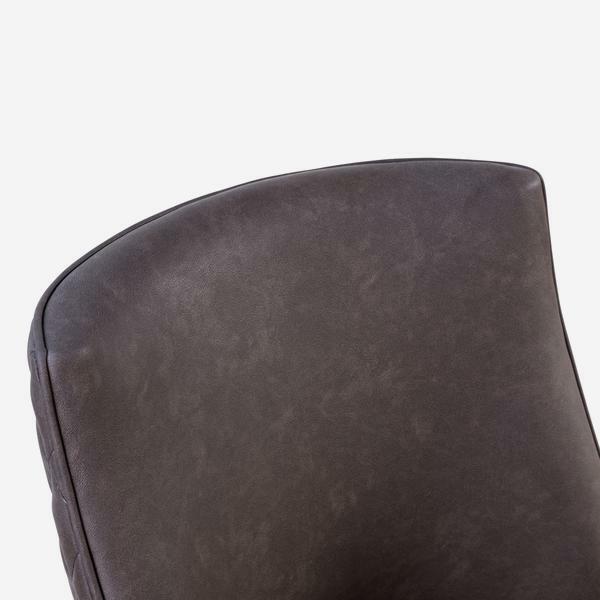 Tasker comfortably curves around your back allowing you to relax into its frame. 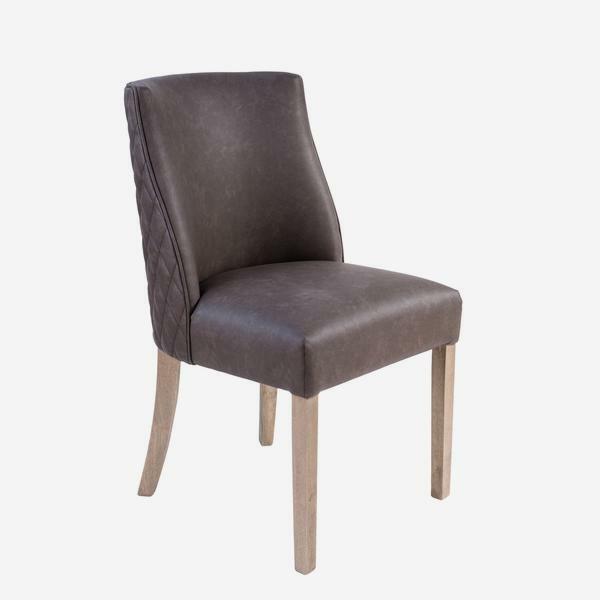 It has casual, soft leather appeal yet its decorative finish means it would happily fit in a kitchen or dining room scenario.